Every image must be seeing with maximum clarity, sharpness and detail. As needed there are many screens you can use but it's very important to choose the right one. Our company supplies and if required, installs every correct screen for a specific use. 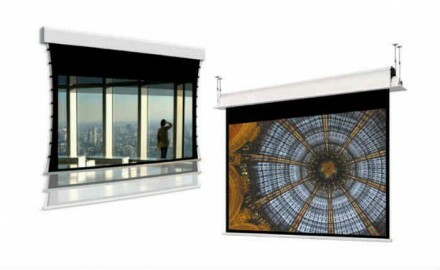 There are many available screens: Motorized, with frame, for the in ceiling application, for frontal and rear projection, with opening from the floor, and also portables with multiformat frame.